"I think it’s a near-sacred duty to take reading seriously, and to really engage with what the author’s trying to do." 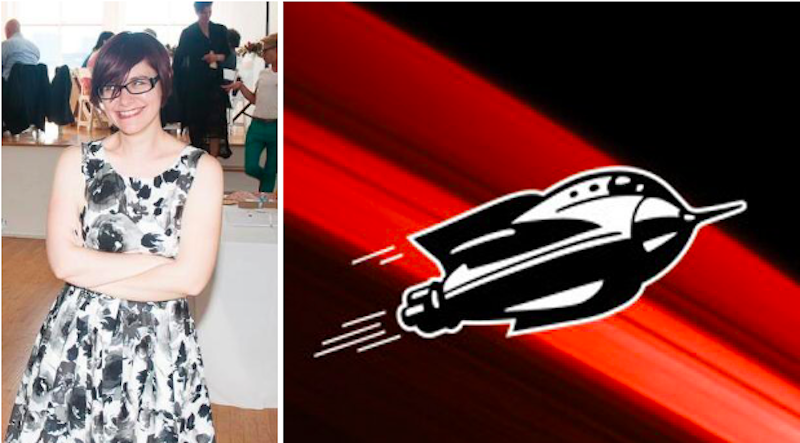 This week we spoke to Tor.com staff writer Leah Schnelbach. Leah Schnelbach: I would have loved to write about Oreo—but even better would have been if POC cultural critics had had more of a platform to shout it from the rooftops. I love that book, and I wish Fran Ross was still here with us writing, and that her book was on every high school curriculum in the US. 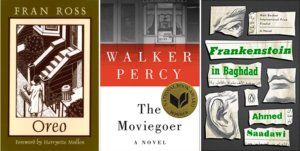 As far as books that are a bit more in my cultural wheelhouse, I probably would have written a long, long essay on Walker Percy’s The Moviegoer. I found it in my 20s, and I was so captivated by the tone of unreality and fear throughout the whole novel, the way Binx Bolling turns every thought over a million times in his mind, and the way Percy is comfortable letting his thoughts loop around and unravel and just sort of marinate. Most of all I love the fact that nothing really happens. Binx goes to work, he goes on walks, he flirts with women, he argues with his aunt—there aren’t any giant plot twists. All the drama and energy is in the ideas and mood, and the concept of “moviegoing” itself, Binx’s idea that his life will only feel real to him if he sees it reflected on film. I think the book is exploring one of the most profound shifts in human thought—this moment last century when suddenly everyone wanted to be observed, and subsequently how that affected our perception of reality. I’m a little obsessed with Andy Warhol because I think he dove into the idea that “ordinary” people wanted to be observable objects, that becoming objects tied them to reality, in a way that had only been open to the rich in prior centuries. The Moviegoer is the first novel I can think of that tried to tackle this concept, and it took the risk of being mind-numbing. Who wants to watch a guy watch movies? But Percy digs deeper and deeper into Binx’s mind, and I think in the end says something profound about the future people were heading into after WWII. I really wish I’d found this one during high school, because I think this might have been a slightly deeper, deeply Southern companion piece to Catcher in the Rye for me. LS: Can I shout-out a book I haven’t actually read yet? I haven’t worked my way around to Frankenstein in Baghdad, but it’s been on my stack for a few months now. I appreciate nothing more than people taking older genres and exploring their current relevance. I’m thinking about this especially this week because of Boots Riley’s film Sorry to Bother You—I feel like that film has used a near-future dystopia to look at race and capitalism, the way Get Out used horror tropes to look at race and class, or The Babadook and It Follows used them to look at motherhood and sexuality, respectively. Or to give another recent book example, The Mere Wife used Beowulf to look at gender and class in suburbia. So the way this book takes Frankenstein and uses it to interrogate the Iraq wars, the ongoing trauma in the area, and how huge parts of the world will just happily ignore what was done there—I want that to be in front of every set of eyes it can find. To that end I’m planning to write about it as soon as possible! LS: I think it’s the usual critique that we enjoy hatchet jobs, or that we find negative reviews more fun to write. First of all, I know that my own taste isn’t gospel. 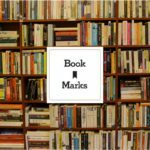 If I read something and I know it isn’t for me, but I also know that a ton of Tor.com readers might like it, then I’ll use my review to highlight aspects of a book that will attract those readers. If I read a piece for No Tokens or Fairy Tale Review that isn’t for me, but that I think another of our editors might like, I’m going to send it along to them for a look. Secondly, and maybe more important, I am a writer who (occasionally) sends fiction out into the world. Every book and story I read, whether it’s to review for Tor.com or another outlet, or as part of my work for NT and FTR—I know there’s a real live person on the other end of this transaction. There’s a writer at the other end of every story who’s going to see the reply from us and hope it’s an acceptance, or there’s a book author who spent years of their life on a project, who’s going to see my review once it’s online. I read everything as though I wrote it. At the same time I think it’s a near-sacred duty to take reading seriously, and to really engage with what the author’s trying to do, how the story will fit into the spectrum of the journal, what impact the book will have on the larger culture, what other books it’s in conversation with, where it stands on a continuum. So I owe it to the author to go into every book wanting to love it. LS: There are more opportunities for more types of books to get attention. Even twenty years ago, people would mostly just look at NYT, NYRB, NYer, their local newspapers—those were a couple of critics with particular tastes, and they could only cover so many books. Now—as much as I think it’s a giant, terrifying problem that so many local papers have cut down on arts coverage—there are also websites and blogs and BookTube and Goodreads and Bookstagram and multiple book-based subreddits and literary twitter and YA twitter, and and and—you can find so many books. You can have conversations on so many platforms and find families of readers. LS: Is it OK if I name a few people? Rebecca Solnit of course, Sarah McCarry and Tobias Carroll, who write for us at Tor.com, Alexander Chee if he counts in this category, my friend Hubert Vigilla, who primarily writes about movies right now, but who is one of the most incisive readers I’ve ever met, and Ron Charles, because the fact that he’s willing to do ridiculous dad jokes for the Totally Hip Book Review, but then his written reviews are both perceptive and generous, is an ongoing inspiration to me in my own work.